Competitions / Gifts / Health & Beauty / Money Saving, Things to Consider when Purchasing Products, Managing Finances, Property, BudgetingMisc. I’ve been buying Baylis & Harding products for some time now. Their products make super Birthday and Christmas presents and are always beautifully presented. I remember the gift sets that I bought last year for friends and family covered in sparkly silver making them look fantastic and very Christmassy. 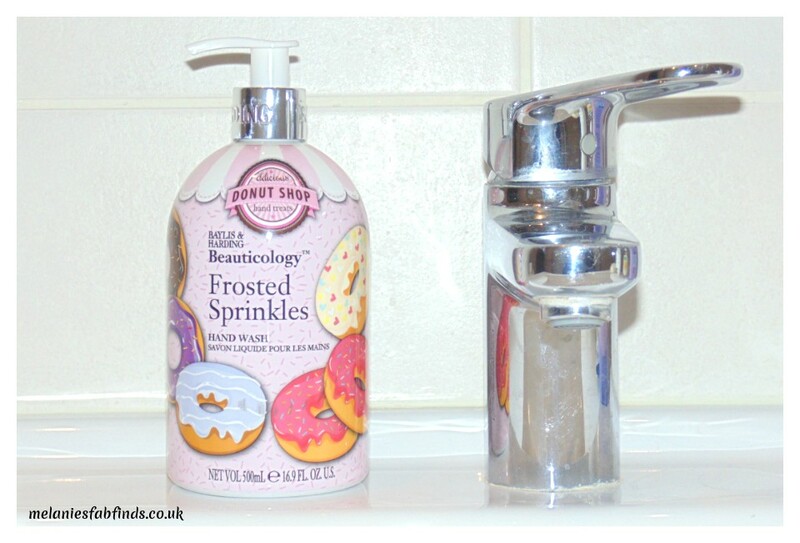 This year I have been on the look out to see what fabulous items they have in store for us and am excited about the Beauticology donut store range that is now available. This caters to my love of sweet foods perfectly as the products smell divine, they look great and there is a good range of items. The Beauticology Donut Shop House of Luxuries gift set contains 4 popular bath time treats – a 300ml Frosted Sprinkles Body Wash, 300ml Blueberry Glaze Donut Shower Creme, 100ml Frosted Sprinkles Shower Gel, 50ml Blueberry Glaze Donut Body Lotion and 50ml Vanilla Sugar Donut Hand Lotion. They sound amazing don’t they. This will be available at Tesco soon. The Baylis & Harding Donut Shop Mug Gift Set is a great gift as even after the deliciously delightful Blueberry Glaze Donut scented shower gel has finished you still have the cute mug. This gift set can be found at Debenhams. But that’s not all there is also a pretty Luxury Cosmetic Gift Bag available. You don’t just get a super handy feminine make up bag which is a great size to keep your beauty products in. It also comes with some great goodies including 100ml Frosted Sprinkles Body Wash, 100ml Blueberry Glaze Donut Shower Creme, 50ml Vanilla Sugar Donut Body Butter and 50ml Blueberry Glaze Donut Body Butter. These all smell amazing and literally good enough to eat. These make great gifts for Birthdays and Christmas and there are numerous other gift sets available that are equally as lovely. Anyone want one of these Luxury bags for Christmas? There are also small gift sets available as well as individual items such as this gorgeous hand wash. Not only does this make your hands smell great it also leaves them feeling silky soft. 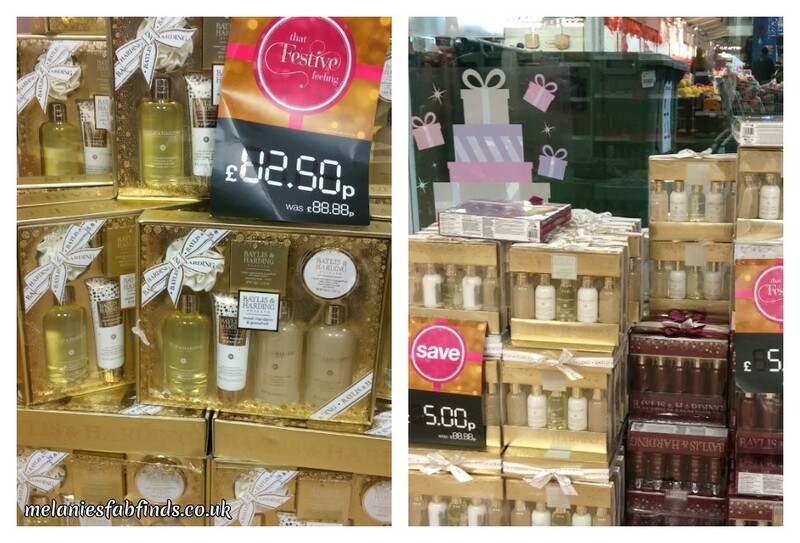 With so many Baylis & Harding items now available for Christmas in stores across the country you will be spoilt for choice. Here are just some of the offers I found in Superdrug! On the left is the Sweet Mandarin & Grapefruit Gift Set now half price (£25.00 now £12.50) containing 7 items a bargain in my eyes as it works out to £1.79 per item included in the gift set. On the right is a Sweet Mandarin & Grapefruit Gift Set and a Midnight Fig and Pomegranate Gift Set also half price (£10.00 now £5.00) making them equivalent to £1 each – Body Wash, Shower Crème, Bath & Shower Creme, Hand Cream and Body Lotion. Many of these items and more may be found in numerous supermarkets including Tesco, Morrisons, and also Superdrug, Debenhams, and various online stores so make sure you compare prices as you can get some great offers on these. Now if you recall I asked earlier in this post if you wanted one of those super cute Luxury Cosmetic Gift Bags well if you said yes then here is your chance plus Baylis & Harding have said I can also throw in one of the fabulously fragrant Frosted Sprinkles hand washes pictured above too. I’s probably give it to my sister if i won. Great prize. I would love to win this. I would give it to myself being the only female in the family!